Whether you are into real estate agency or manage properties for clients, real estate accounting can be complicated. But it does not have to be that way in case you take help of an expert real estate accountant like Bharti Jogia-Sattar. Los Angeles- based independent financial consultant Bharti Jogia-Sattar has extensive experience in corporate and financial management, accounting, and real estate. As a real estate accountant, she provides financial assistance and support during real estate dealings. She also prepares reports and provides financial strategies in the best interests of real estate developers and property owners. In addition to this, Ms. Jogia-Sattar participates in investment, planning, tax reporting and budget activities. These accountants set the financial requirements needed for real estate companies, community associations and property management organizations. Either these accountants are hired by real estate corporations or they offer facilities as an independent accountant. The accountants inspect the records of accounts and sketches reports to assist the managers in the company. In addition to this, the official papers such as cost estimates, annual reports and rental and lease agreements are also prepared by them. Moreover, they also prepare tax returns and calculate tax liabilities for the real estate establishments. 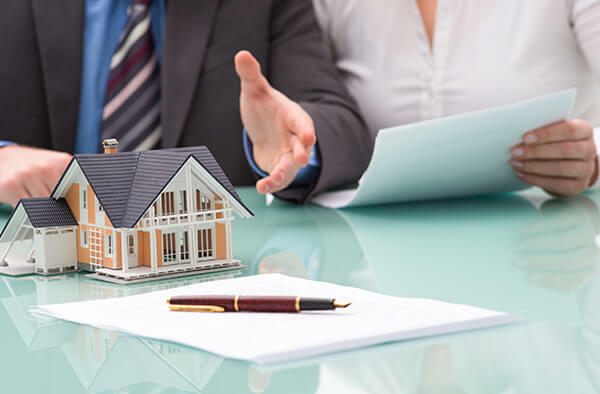 To assist their employers or clients, these accountants make financial reports for a range of real estate dealings, which include rentals, property sales, time-sharing and leases as well as profits, functioning charges and development expenses. In addition, these experts develop expenditure cycle and revenue reports as well. These accountants may also offer planning and investment analysis for establishments looking to get a property developed. They can also organize capitalization activities, asset assessment and appraisal. The main responsibility of a real estate accountant is related to accounting. For instance, when working for a commercial real estate company, the real estate accountant will be in charge of performing accounting for several properties. Basis on the size of the company, the accountant may work on a large portfolio of commercial properties which include different kinds of products located in various places across the country. Also the accountant is in charge of activities related to accounting for certain properties. The accountant will prepare budgets, perform expense reconciliation activities and provide monthly detailed reports. Besides all these, the accountant will also help in various aspects of commercial accounting management which include activities such as financing, disposition and acquisition. Bharti Jogia-Sattar is an ex-student of Eastern Michigan University and holds a Bachelor of Science in Business Management and Chemistry. After completing certificate coursework in accounting from the University of California, Los Angeles; she started with her professional career in the real estate sector as an accountant at Total Real Estate Management. Post this she went on to work with other renowned companies and as of now she offers independent consulting services in the financial field to the organizations.